Many CPAs and employers consider administering an HRA without proper HRA administration software. CPAs and employers often overlook important compliance obligations that put them at financial risk. Read on for an overview of why you need compliant HRA software. Failure to comply with the following requirements can be costly. An HRA is a self-funded health plan and governed by the HIPAA Privacy Rules. Employers that offer a fully-insured health plan and sponsor an HRA often overlook their HIPAA Privacy obligations. In order to administer an HRA, the entity processing the claims receives protected health information (PHI) which is protected by HIPAA. Employers that offer a fully-insured health plan will rely on the insurance carrier to comply with the HIPAA Privacy Rules. However, the HRA compliance obligations rest with the employer. Employers that do not comply can be subject to civil penalties of up to $100 per violation. Learn more about HIPAA Privacy for HRAs. An HRA is a group health plan subject to COBRA. Employees that experience a qualifying event are entitled to continuation coverage under the employer’s HRA. An employer that fails to extend COBRA coverage to HRA participants can be subject to substantial fines. Employers can be fined up to $110 per day for failure to provide an initial notice or election notice. Learn more about COBRA and HRAs. 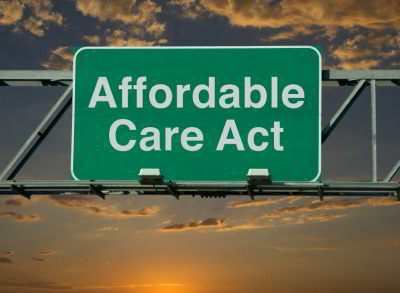 An HRA is a group health plan subject to Medicare Secondary Payer (MSP) provisions. New reporting requirements went into effect in the fourth quarter of 2010. Employers are required to provide HRA coverage information to the Centers for Medicare and Medicaid Services (CMS). The information reported to CMS will allow better coordination of payer responsibilities between the group health plan and Medicare. Failure to comply could result in fines of up to $1,000 per day. Learn more about HRAs and medicare secondary reporting. An HRA is an employee welfare plan under ERISA. ERISA requires that every [welfare] plan be established and maintained pursuant to a written instrument. The written instrument or plan document serves to define what expenses are eligible for reimbursement, the amount of employer contribution, and whether the funds may be rolled over from year to year. Not only could an enforcement action be brought against an employer for failure to have a plan document, but it is difficult for the employer to prove plan terms and enforce its provisions. Learn more about HRA plan documents. The U.S. federal government has specific regulations that employers must comply with in order to reimburse employees for individual health insurance premiums without triggering ERISA plan status for the individual health insurance policies. Learn more about ERISA compliant individual policy reimbursement.